Paul Dipré is an advocate with more than 20 years experience specialising in financial remedies for matrimonial finance and associated general commercial and real property disputes, especially contractual and insolvency matters. Paul has a most thorough knowledge of all issues relating to trusts instruments, and equitable doctrine of trusts that are relevant to matrimonial finance, property disputes and contentious probate. Paul likes to get involved at an early stage whenever possible and help clients with advice, drafting and advocacy throughout proceedings as required. He enjoys a reputation for having an approachable and helpful style and is happy to discuss any matter pre-instruction. Paul is bilingual in English and Italian and is particularly interested in cross-border disputes, especially those of an Anglo-Italian nature. Paul has a substantial and long-standing commercial practice, appearing regularly on contentious and high-value claims in the County Court and High Court on behalf of both professional and private clients alike. Paul is frequently instructed at an early stage to advise clients and to draft pleadings. He is content to advise either in conference or in writing on both the merits of potential claims and the best strategy to adopt in the on-going management of litigation. Sensitive to the cost implications of litigious proceedings, Paul will seek resolution by negotiation where appropriate but can also be relied upon to provide sound and reliable tactical support when a fight is necessary. He is accomplished and experienced on his feet in court, capable of striking a balance between robust advocacy and persuasive negotiation subject to the approach demanded by the circumstances in a case. Paul advises and represents clients in relation to all aspects of insolvency and bankruptcy law, whether that be applications being made within insolvency proceedings or other matters such as applications for administration order, to set aside statutory demands, to restrain winding up petitions or to restrain advertisement of petitions. Paul also deals with the full range of transaction avoidance work (e.g. transactions defrauding creditors, preferences, transactions at undervalue). Paul has been instructed on behalf of debtors, creditors, companies, directors and insolvency practitioners providing focused advocacy and advice on all aspects of contentious and non-contentious insolvency law and procedure. Paul regularly appears on insolvency matters in the High Court (the Companies Court and the Bankruptcy Division) and in County Courts across the country. A fluent Italian speaker, Paul has previously worked in-house for law firms in both Italy and England and brings with him a wealth of knowledge gained in a wide range of cases. Paul is on the committee of the British Italian Law Association and has spoken on English law issues in Italy on a number of occasions, as well as assisting the author of an Italian language book on the English system of civil courts. Paul is also a member of the Family Law Bar Association and the London Common Law and Commercial Bar Association. Paul is accredited to undertake public access work, including conduct of litigation. 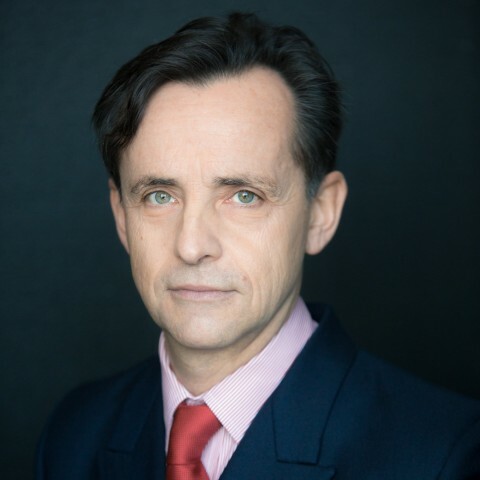 Paul Dipré is the Director, Head of Legal Practice and Head of Finance and Administration of Paul Dipré Barrister Limited through which his professional services are provided. Paul previously worked in the London financial markets and is a freeman of the City. He is married and when not working enjoys walking and orienteering in the Alps, reading and the Arts. We don’t have any client feedback for Paul Dipré (1991) at this time. Paul has a strong knowledge of those aspects of Italian law that are relevant to cross-border disputes concerning the areas of specialism set out above. His CPD activities are especially focused on augmenting this expertise. Outside of these key areas of law, Paul Dipré (1991) is always willing to consider any enquiry requiring the experience or knowledge needed to help you or your client. Please call Paul direct or the support team on 01823 247 247 if you would like to discuss any aspect of this profile.